The high-risk nature of the good old-fashioned PR stunt was highlighted perfectly last week, when several retailers played a blinder, and another was shown the red card. What marketing director can resist when offered the chance to generate lots of media coverage and brand buzz at the minimal cost of a press release? Reams of positive headlines and social media comments were generated for Aldi and Lidl when announced they would close their stores early on Sunday if England made it to the World Cup final. Not only was this an inspired idea, it was low risk. The stores would have been closing at 4pm anyway, meaning staff would only be getting an extra hour off. And footfall would probably have been almost non-existent as large numbers of Sunday afternoon shoppers would be glued to their TV screens. What’s more when England exited the championship, neither retailer had to shut-up shop. So, everyone was a winner, apart from England. What made this PR stunt so effective was that it sat comfortably with the strategy of ‘naturalisation’ both German supermarkets have adopted in the UK. Lidl has been actively sponsoring English football through the FA Skills programme and Aldi is a strong sponsor of Team GB. This is the key to a truly successful stunt, it needs to fit naturally with the brand’s strategy and narrative. 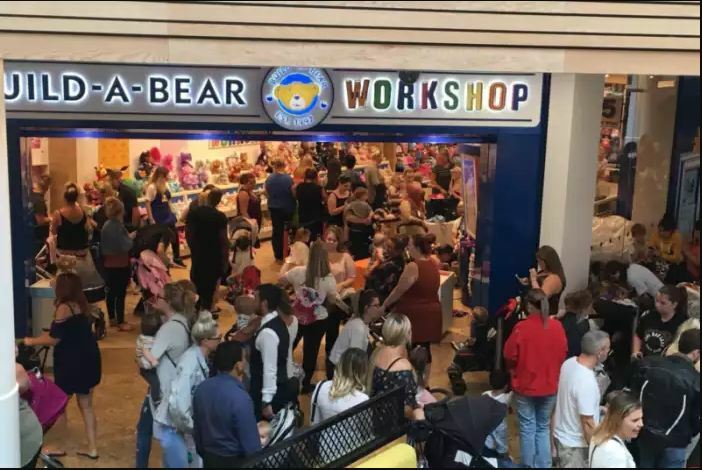 Even when a stunt fits strategically, it can still be a disaster, as Build-A-Bear Workshop discovered when it ran a ‘pay your age’ promotion, allowing parents to buy £50 plus teddies for a fraction of the cost. Strategically the promotion was designed to boost Build-A-Bear’s loyalty numbers, as you had to be a part of their rewards program to take part. But the idea was high risk and the execution was poor. In what the company says was ‘overwhelming and unprecedented’ consumer response, Police were called to scenes of ‘chaos’ as well as queues stretching for a mile long. Many of the company’s stores, including Sheffield’s Meadowhall shopping centre, Birmingham’s Bullring, Telford and Basingstoke, had to shut for the rest of the day following demand. Again, reams of headlines and social media comments were generated, but for all the wrong reasons. The compensation of a money-off voucher to frustrated customers only added insult to injury and is likely to undermine customer loyalty. When they’re part of a sound marketing strategy PR stunts can work well and really connect a brand with its customers. But it’s a fine balance, and whilst the positive headlines are welcome when they go well, if it goes wrong the impact on a brand can be long lasting. Pelican Communications are specialists in the environment, food and drink and packaging sectors and offer a range of services such as media relations, brand management, event management and people development. Contact us for marketing and communications expertise.